Looking to start or enhance your sales career? At CPM we are looking for candidates who wish to start or progress their career in sales. We have a job to suit every step in the sales career ladder. 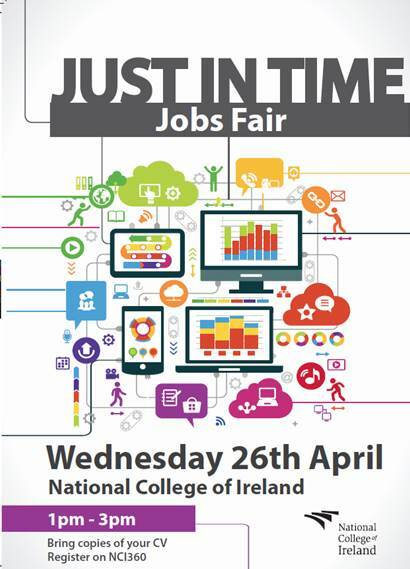 So if you are looking for your dream sales job, we invite to come and meet our team at the "Just in time" Jobs Fair, hosted by The National College of Ireland. Why choose CPM as your preferred employer? Time: 1.00 p.m. to 3:00 p.m.
Feel free also to share this post with any family and friends who may be interested in starting or progressing their sales career.